Mollases is a semi-finished product made in process of sugar production after three boilings. Ic contains composition of useful microorganisms. It derives solely from organic farming controlled according to environmental policy of the European Union. Molasses - our product contains the lowest amount of sugar amidst every types of molasses and highest rate of nutrients (manganese, magnesium, potassium, calcium, copper, ferrum, selenium and vitamin B6). 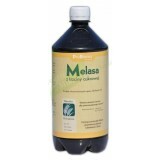 Molasses - our product contain the lowest amount of sugar amidst every types of molasses and highest rate of nutrients (manganese, magnesium, potassium, calcium, copper, ferrum, selenium and vitamin B6).